What roles should governments, companies, and individuals play to combat climate change? The modern technologies of the 21st century have significantly increased the level of Green House Gases emission in the atmosphere. 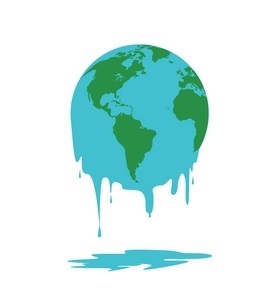 The negligence towards this fact for long has lead to climate change that is now having drastic impacts on the environment as a whole and certainly calling for immediate actions from the key agents of the societies, that is, Government, companies, and individuals. Being a legislator, government plays a vital role in combating the ill effects of climatic change. It can make stringent rules and regulations against polluting the nature. Along with it, it can also initiate awareness programs that can sensitize the public against the issue and its causes and solutions. Along with the government, there are certain initiatives that can be taken by the companies such as proper disposable of toxic waste, recycling of the waste or use of eco-friendly inputs. All these can help combat the climate change. At an individual level, the public can reduce the use of personal vehicle and instead embark upon the public transport. Or, they can indulge in planting trees and properly disposing of the household waste. They can also use eco-friendly products at home and can encourage and motivate others towards the same. Last but not the least, the new technological inventions had surely led to the comforted luxuries life but, certainly, it is discomforting the nature that is subsequently leading to climatic change that is leading to global warming and depletion of the Ozone layer which is a cause of concern. Thus, it is upon, the government, companies, and individuals to take necessary steps that can curb the climatic change before the situation turns from bad to worse. Isn’t necessary that the G in Government should be always capitalized?